For years now, Sir Ken Robinson has been tirelessly explaining that conformity in education does not work. That it is the enemy not only of creativity, but of an authentic life. 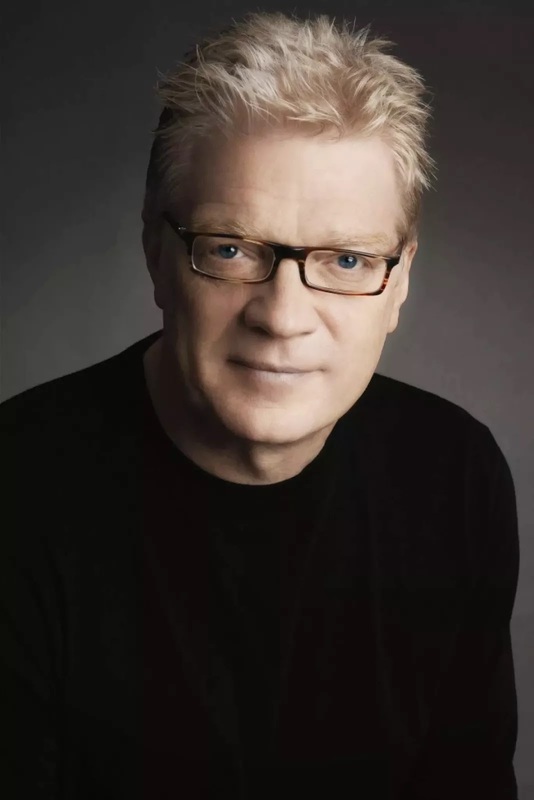 But understanding the problem, even articulating it as brilliantly as Sir Ken Robinson has, in his Ted Talk, viewed over 32 million times, his book The Element, and in his other books and lectures, is only half the battle. The other half is to define and design the kind of 21st Century schools that can achieve this. In his new work Creative Schools: The Grassroots Revolution Thats Transforming Education , he argues for an end to our outmoded industrial educational system and proposes a highly personalized, organic approach that draws on today’s technological and professional resources to engage all students, develop their innate curiosity and love of learning, and enable them to face the real challenges ahead and feel at home in the world they will inherit. Earlier this month most of you completed your taxes. Probably either you had someone else do it, or you spent hours navigating the complexity of the Federal tax code. Perhaps that tax code is the apotheosis of complexity...with the possible exception of booking air travel. On the other hand, if we look at Silicon Valley, it’s filled with examples of companies that have figured out how to do a limited number of things, do them well and create minimal rules around it. Back in 1995, Robert Putnam argued in his bestselling book, Bowling Alone, that civic life in America was declining. That we had reached a kind of apogee from things like the closing of the American mind, our culture of narcissism and the ideas of people like Ayn Rand. The payoff from increased suburbanization also added to the general shift away from engaging with people, that were not exactly like us. Since then, for the past twenty years, we’ve added technology, changes in the nature of work, globalization, the influence of money and political polarization. Today, the proverbial chickens have come home to roost. We are more socially and class divided, more likely only to send time with people like ourselves, and money and economics are the ultimate determinant of success. At the turn of the last Century, as we moved from an agrarian to an industrial society, we saw a major shift in values, as we realized that shared values and shared success benefited everyone. Today, at the turn of this Century, as industrialization gave way to our brain powered economy, exactly the opposite seems to be happening. 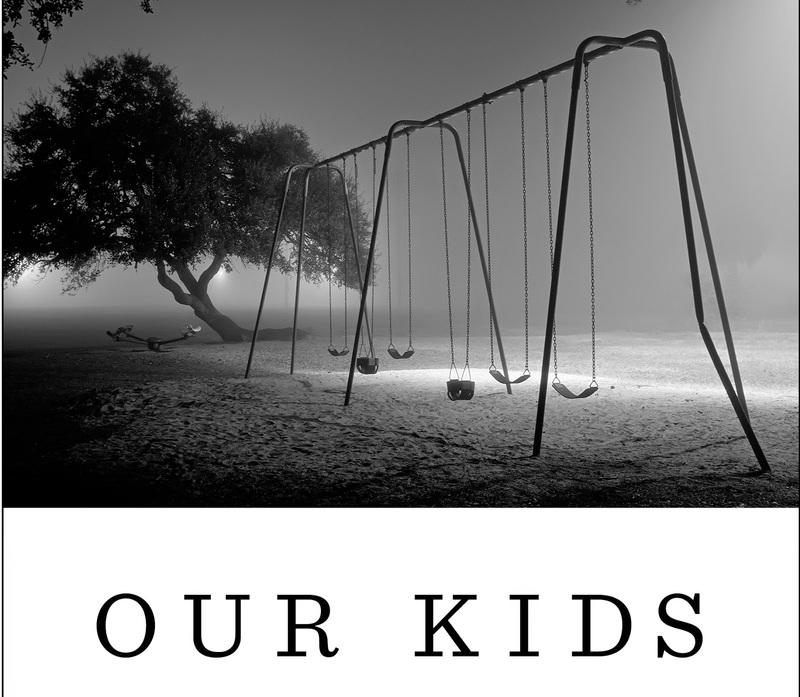 Our kids today seem to be more siloed than ever. Their future and upward mobility more predetermined than ever before. Hundred of years ago if men wanted to settle a personal matter, even a political one, they picked up swords or guns and dueled their way to resolution. 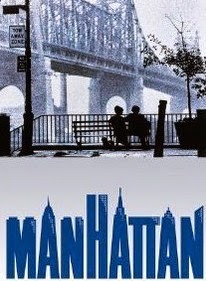 We all remember everything from d'Artagnan to the Gunfight at the OK Corral. Today there are many that seem to long for a return to those days. And while they are hardly condoned by respectable public standards, they still percolate within the heart of many men, for whom testosterone laden violence is still deeply programmed into their DNA. If the first rule of Fight Club is not to talk about Fight Club, Jonathan Gottschall breaks that rule with The Professor in the Cage: Why Men Fight and Why We Like to Watch . Too often in the thinking about the politics of war, we lose sight of its crucible. Of what it does, both good and bad for the people caught up in it. Perhaps thats why we go back so often to WWII, to be freed to understand how the pressure, conflict and survival inherent in war, often brings out both best and the worst of human nature. 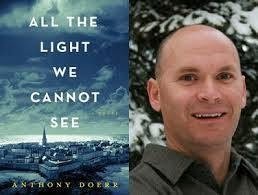 Anthony Doerr’s new novel All the Light We Cannot See, does this. Those of us in California know all too well what’s its like to be living in the midst of a drought. Gov. Jerry Brown recently put in place restrictions demanding that urban water use be cut by 25%. Already the push back is coming. In a state where agriculture uses well over 50% of the state’s water, and only contributes 3% to the state’s economy, urban water users are becoming angry. There is much talk about pipelines, about desalination, and new technology to bring water to the parched desert that is much of California. All of this echoes a battle of an earlier time. A time, at the turn of the last century, when a man named William Mulholland would devise a plan to make the desert that was Los Angeles bloom and allow it to become the world class, cutting edge metropolis that it is today. 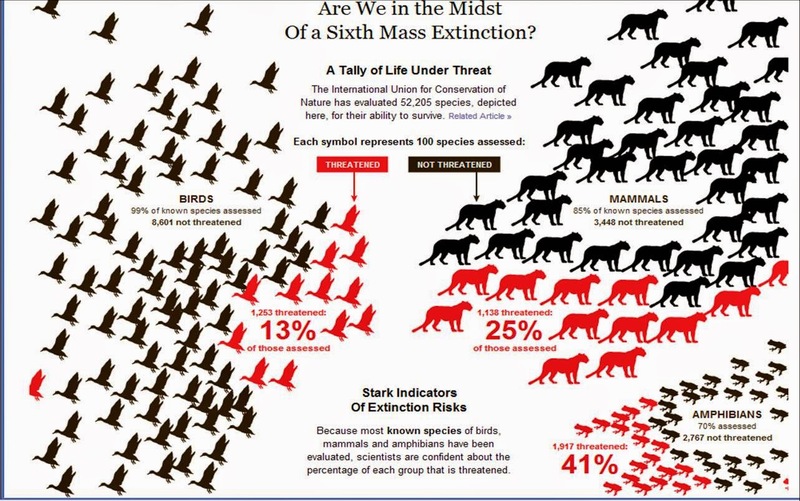 Perhaps in these dry times, its instructive to look back to that previous period and see what we might learn. One of the big things missing in politics today is historical and institutional memory. The sense of collegiality, of institutional respect and the positive value of public policy, seem to have been replaced by gotcha politics, partisan positioning and the effort to achieve petty political advantage. Former Congressman Barney Frank has born witness to this change and he’s seen it from all sides. He helped usher in our renewed respect and acceptance for gays and lesbians in public life and fought in the civil right issue of our time, for gay marriage. He used the best of the public policy apparatus to bring forth financial reform, but he’s also seen the ways in which our political process has become mired and disconnected from the realities of 21st century life. He understands that principals must be part of politics and that “to legislate” is not a dirty word. As cities are becoming ever more important, as most of America and the world moves into urban spaces, understanding cities and their relationship to people is every more important. 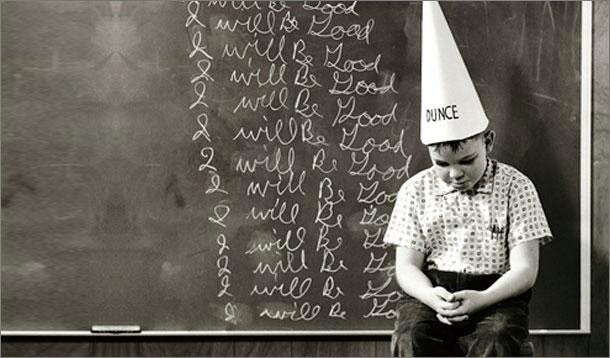 There once was a time, back in the 18th and 19th centuries, when public shaming was the norm. The stockades, corporal punishment, torture marks and even the famed Scarlet Letter, all represented ways in which society could express it’s scorn. Today, with the power and reach of the Internet and social media, we are in a golden age of shaming. Monica Lewinsky’s recent Ted Talk on the subject has been viewed over 3 million times. But has this new age of shaming made us better? Has it reined in indecent behavior? Has it made us more just or just more paranoid? The long time radio host Don Imus used to say he’d like to ask guests, especially public figures, very tough questions in the hope that the answers just might ruin their careers. Today that can happen in the blink of a Tweet. Jon Ronson has been studying this recent phenomenon and he writes about it in So You've Been Publicly Shamed . The rate of voter participation in America continues to decline. Yes, some of it is our politics today. But another part of it just may be a failure to embrace the true education for citizenship. And it’s no wonder. Some of the fundamental ideas of what it means to be a citizen; the ability to reason, to analyze, and to articulate those views, has gone into remission. In our education today, we are obsessed with what is call STEM. Science Technology, Engineering and Math. All very important. But Lost in this obsession is Writing, History, Rhetoric, and the Arts. State Governors are defunding liberal arts programs in state universities, the President is putting down Art History, and educational institutions from K-12 to our universities, are responding to the pressures. There seems to be no regard for the fact that today’s technology will be tomorrows nostalgia and the ability to learn, think and write is forever. 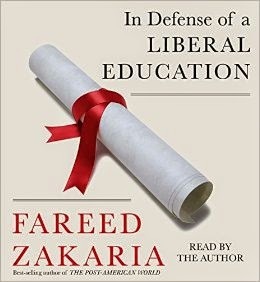 Taking up this cause of liberal education is Fareed Zakaria in his new book In Defense of a Liberal Education . 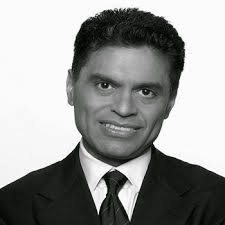 He is one of our premiere foreign policy analysts, the host of Fareed Zakaria GPS on CNN and a columnist for the Washington Post. Everyday we hear and read more about how life is changing. Probably while we were sleeping last night, someone came up with an app that will alter the way we work or play or interact. It’s not surprising then that all of this profoundly impacts the careers we choose, the work we do and and what that work might look like in five, ten or fifteen years. So where to begin. If you are a young person starting out, or a making a mid career change, where is that Roadmap to that future. 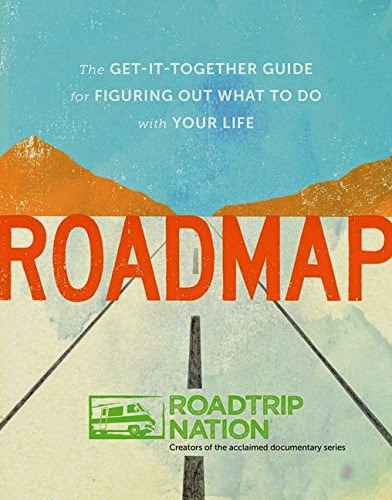 Roadmap: The Get-It-Together Guide for Figuring Out What to Do with Your Life is the latest book by RoadTrip Nation and my guest Nathan Gebhard. It is based on the wisdom of more than 300 leaders. One of the dangers of our celebrity culture today, is that we tend to look at those who've attained that status, regardless of their field of endeavor, as fully formed human beings, whose life began and ended with the achieve that catapulted them into iconic status. Nothing can be further from the truth. In looking at the stories or biographies of these celebrities, on the one hand we have case studies that zero in a particular moment in time, or hagiographies that only heighten misperception. 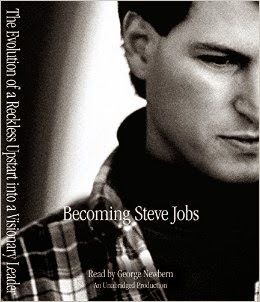 ended to be the case with Steve Jobs. 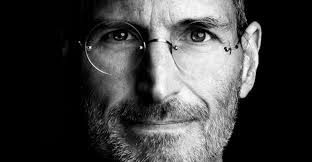 He wasn’t born as the iconic founder and savior of Apple. He evolved over time and his skills, talents and personality either acted as receptors or antagonists to the moment and issues at hand. In looking at his story, we see the full magnitude of humanity that was, in and of itself, a part of his success.